Psoriatic arthritis is a type of arthritis that affects up to one-third of people that suffer from psoriasis. Like other forms of arthritis, psoriatic arthritis causes the swelling and stiffness of joints in addition to the symptoms of psoriasis. The symptoms of psoriatic arthritis usually appear when an adult is between the ages of 30 and 50. Here are a few things elderly adults and their caregivers need to know about this painful and uncomfortable, but manageable condition. Elderly adults who suffer from psoriatic arthritis experience symptoms similar to those of rheumatoid arthritis. The difference is, however, that sufferers of psoriatic arthritis are also affected by the skin condition psoriasis which causes red plaques to form on the skin. These plaques can feel itchy and uncomfortable and may be aggravated by certain triggers. 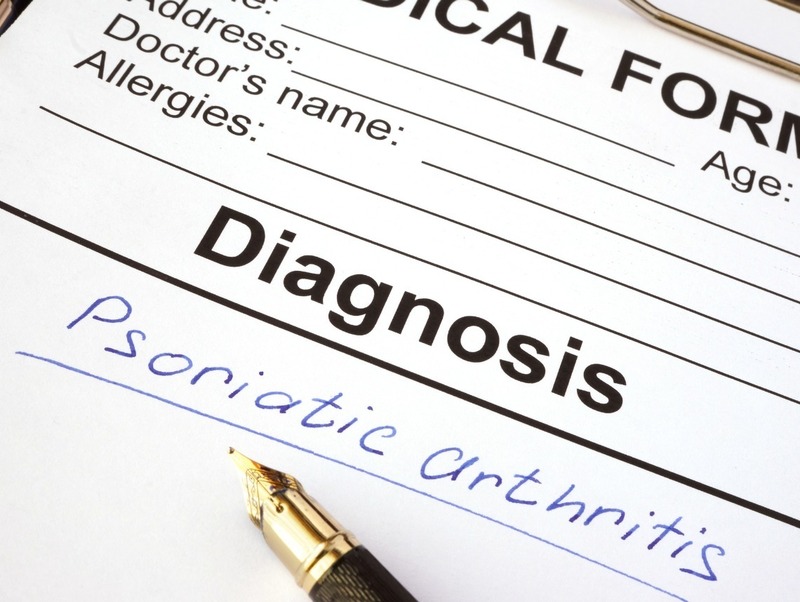 Sufferers of psoriatic arthritis have several different treatment options. Many doctors may recommend medications that can keep inflammation under control such as NSAIDs. Since these medications can do damage to the digestive system if they are used on a long-term basis, doctors may also prescribe medications to protect the stomach lining. If NSAIDs are ineffective, doctors may prescribe medications called DMARDs (disease-modifying antirheumatic drug) or biologics (a newer kind of DMARD). In some cases, surgery, steroids, and/or enzyme inhibitors may be recommended. There are many ways caregivers can help their elderly loved ones manage their psoriatic arthritis. One important thing they can do is to help their elderly loved one stay on track with their treatment plan. This includes going to all necessary doctor’s appointments as well as taking medications properly. There are also many natural ways to manage psoriatic arthritis at home and caregivers can certainly help their loved ones to do this. Getting exercise. Caregivers can encourage their loved one to do physical activities such as walking, swimming, and biking on a regular basis. Using heat and cold. Warm or cold compresses can help ease the joint pain of psoriatic arthritis. Caregivers can help their loved one to try these methods of pain relief. Protecting the joints. Caregivers can help their loved one protect their joints by using good posture, not overdoing physical activities, and using equipment such as canes and grab bars to assist with mobility. If you or an aging loved one are considering home health care in Florida, contact the caring staff at Sonas Home Health Care. Call today (888) 592-5855.